Today, people have access to more technology than ever before. With popular apps, such as Facebook, Twitter and Instagram being the norm, it was only a matter of time before technology spread to the legal world. In this age of internet and computers, here are 10 ways that technology has changed law practice. Normally, being concise and honing your arguments was the key to persuasive writing. Technology has made it easier to cut and paste documents. Within minutes, lawyers can find old briefs, insert content, and create something. Lawyers no longer have to digest and analzye complex concepts. Things have been simplified. Before the improved technology, lawyers had to spend a lot of time going through citations and checking references. However, cases are now available within seconds. Instead of spending long hours going through giant legal libraries, you can find whatever you need with a few Google searches. Writing some documents could take multiple days, but now lawyers can write out those same documents within a few hours. However, some lawyers feel that this is actually a detriment that makes work more stressful. Many law firms have Facebook pages and Twitter accounts to tweet on new pages. Technology has caused social media to become a major part of promotion. Internet advertising has made it easy for lawyers to promote themselves. 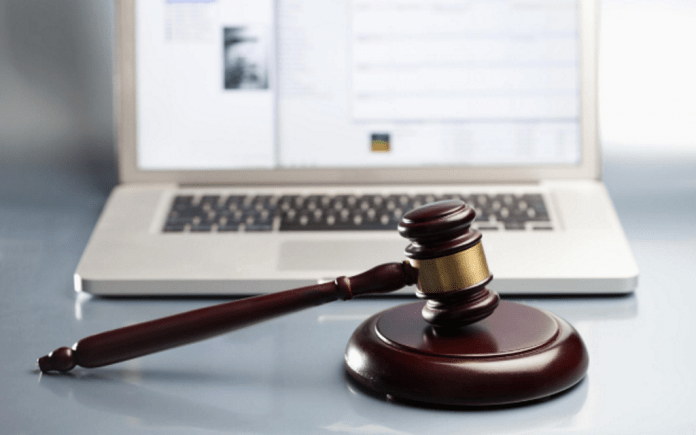 There are lots of pages throughout the web, giving consumers access to a whole database of lawyers to help them find the right lawyers to take their case. Lawyers can now have pages of documents with files of endless paper copies and pointless downloads. Use of paper is in fact very expensive. Technology makes it easy to put everything on a laptop in a stable location. Eventually all that paper will have to be shredded. Technology has cut out the amount of time it takes to communicate with someone. No longer do lawyers have to write long letters and wait for a response. All you have to do is find someone’s contact info and contact them. You’ll likely receive a reply within a few minutes to an hour. Technology has made it easy for lawyers to store large amounts of data, such as files, briefs, and research material. The data is accessible within seconds. This has really helped lawyers who previously may have had to deal with loads of paperwork. Juries now have the ability to find out otherwise confidential information thanks to social media. Jurors can do their own research and this could lead to impartial jurors as jurors may developed biases based on what they have read on the internet. Lawyers can now add photographs to improve documents. This will greatly enhance a lawyer’s ability to prove their case. These enhanced images and videos can help improve the understanding of different facts involved during legal cases. The new technology that helps these different animations and videos get made has proven to have a big impact on jurors as if they were reading words on a document.